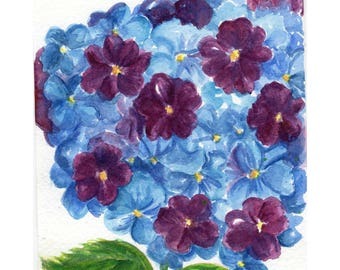 Announcement Gifts for others and yourself - watercolor and acrylic paintings. Prints, cards and more. Art is a great gift because it brightens up a home or office. Cards from my original paintings are a nice way of sending a unique message. Mini paintings add a pop of color in a corner, on a desk or in the kitchen. Gifts for others and yourself - watercolor and acrylic paintings. Prints, cards and more. Art is a great gift because it brightens up a home or office. Cards from my original paintings are a nice way of sending a unique message. Mini paintings add a pop of color in a corner, on a desk or in the kitchen. Oysters are intriguing and so wabi sabi. ACEOs are great way to afford original art. I love watercolor painting. Daniel Smith watercolors are one of my favorites. I adore the mineral watercolor paints for their pigments and unique characteristics. Watercolors - Dipping that brush in water and pigment makes my heart sing. I have a serious flower, plant and farmers market addiction. I adore the farmers market and always buy too much and can barely lug it to the car. I use purchases as inspiration for my paintings of flowers, fruit and vegetables. I am incredibly lucky to live in a small town in Mississippi. There are so many plants, flowers, trees and animals that I am constantly finding too much to paint. Acrylic paints have come so far since I started painting with them. The paint itself is more vivid and creamy. The pigments are dreamy. I like that acrylic paintings can be displayed in direct sunlight for years and not fade. They are perfect for bathrooms, kitchen, and kid's rooms. No frame is usually not required but can be added for visual interest. Who ever thought that someone that I built floats with in high school for homecoming would become my printer of choice? This printer prints my cards and some prints for me. I've been using Zazzle since 2006. I made lots of products for myself and others. They have continued to expand their product line.